Best Minimalist Watch Review for the Top 10 Best Minimalist watches under $100 category. Minimalist watches otherwise know as slim watches, thin watches or more aptly simple watches are timepieces that are by nature very simplistic in function and design. The whole point of a minimalist watch is to be able to read the time albeit a quick glance in the most simplest of ways. Whilst doing so the timepiece has got to look really good at the same time, often provoking a complimenting second look. Let’s take a look at the best Minimalist watches under $100. Of course it is not easy to design and build minimalistic watches that tick all the right boxes. It takes much thought and planning to put forward a winning simple watch design for production. Everything has got to be perfect to invoke an aura of perfect harmony between the wearer and the watch. Many have tried to produce the best simple watch and many have failed. Nevertheless the rise of the minimalistic watch from the depths of the relatively unknown to the highly sought after fashion accessory has been breathtakingly fast and in many cases very direct, courtesy of the plethora of social media outlets that consumers are coming face to face with day-in day-out. Of course being able to buy watches online direct from watch makers has made it easier to experiment with buying choices. There has never been so many places where one can purchase an outstanding watch albeit with the speed of a mouse click. For many of us that is a great achievement. We have right before us thousands of outlets in the world of watchmaking where we can discretely click away thousands of dollars and receive a breathtaking piece of wearable art within a day or two. A minimalist watch is the contemporary equivalent of a pocket-watch from the 1800’s. It has been built with solely one function, and that is to tell the time. Yes although it looks really cool and sophisticated it didn’t take months of work to put together. The implications are that yes their quality may become less than desirable but more often than not when you have already moved on to the next one. The Minimalist watch review has been put together to give you a nice selection of minimalist watches at an affordable price, perfect as a gift for your loved one. Very care has been taken to present the Minimalist watch review with a broad cross-section of minimalist watches covering many price points. Another Top 10 Watch Review for Minimalist watches under $100 presented by WatchiWatches featuring the Minimalist watch review. The minimalist watch review has caught the essence of minimalist watches with this fabulous collection of best selling minimalist watches with outstanding value for money. 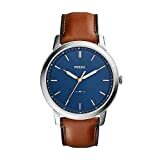 The Minimalist watch review for Minimalist watches under $100 has included many trusted user reviews from actual users to better help you make an informed choice to spend those hard earned dollars. Buying simple watches online is the place to be right now to get those expensive and sophisticated looking timepieces for your loved ones. This WatchiWatches watch Review incorporates trusted customer reviews and is one of our best watch reviews from top watch brands offering the best minimalist watches under $100 available FREE to assist you in your search for the perfect minimalist watches under $100 to take as a trusted companion wherever you go! In case you have not found the best minimalist watch under $100 that you were looking for maybe try looking for the best minimalist watches under $50 here as well as the best minimalist watches under 200. Newly published best minimalist watches under $300. We also have a great selection of minimalist watches for men and women at the Skagen Watches Reviews well worth checking out.